I have my ipad in front of me with rolling commentary of the Jubilee River Pageant. L is in call so I am celebrating by myself – typical British weather means the Juliblee weekend is a complete washout yet millions of people are lining the banks of the Thames to wave and watch 1000 boats sail behind the Royal Barge on this very historic occasion. 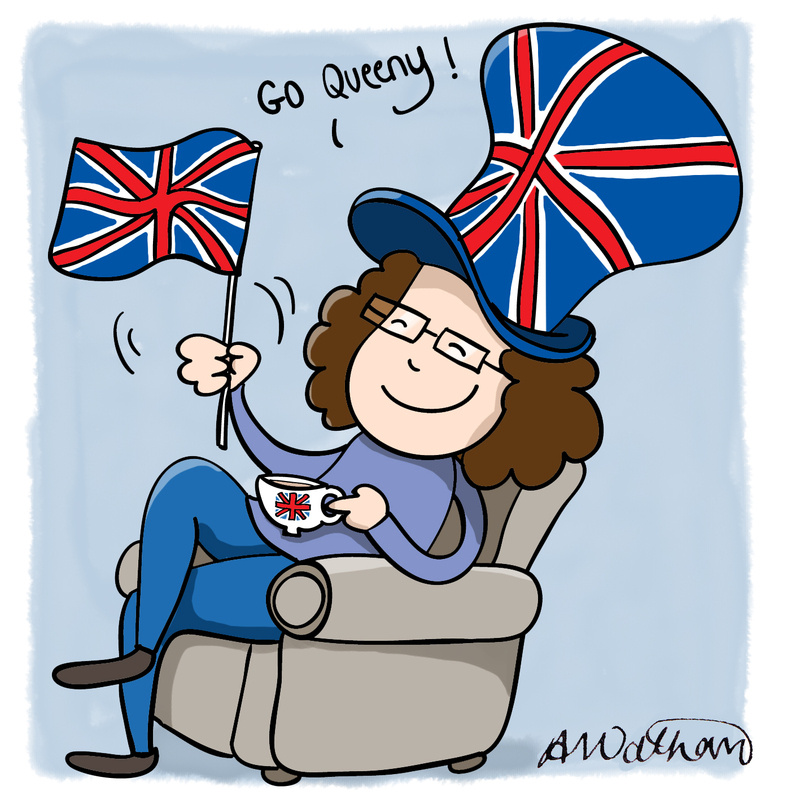 I do like the Queen, but I’m quite happy to be sitting at home with my Mad Hatter hat on in homage to the Queen’s 60 year reign (or rain!). Whoop Whoop! This entry was posted in Events, Life and tagged British, Celebrations, Pageant, Queen by bighair63. Bookmark the permalink.